Home / Automotive / Cars / Dark Knight 911 Turbo S Brings Out The Heat! Porsche keeps coming out with more tempting versions of the 911, and likely always will. There is plenty of aftermarket options for making the classic German sports car even more compelling, and the latest come from Polish tuner Auto-Dynamics.pl. 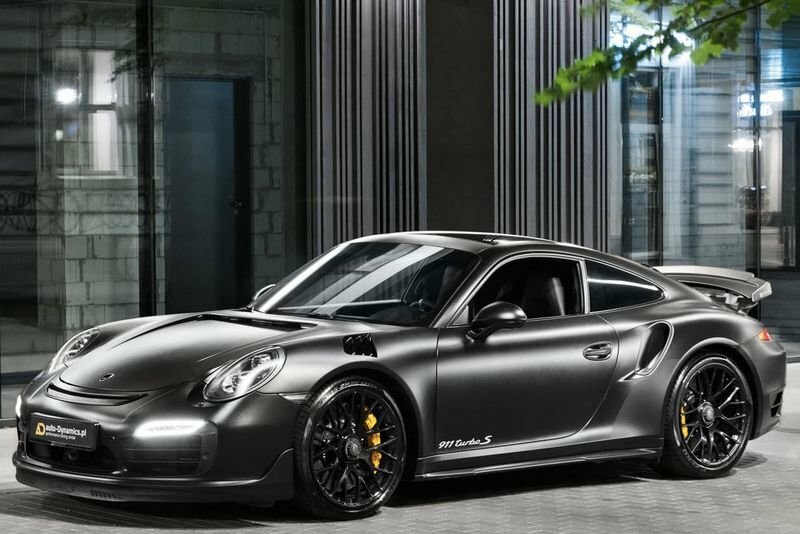 They call it the 'Dark Knight', taking the latest 911 Turbo S even further. It includes new manifolds from GMG Racing, TechArt exhaust with custom tips, catalysts from Cargraphic, IPD plenum and y-pipes, Agency Power intake, AWE Tuning intercoolers and more, to bring to you up to nearly 700-horsepower. The Dark Knight looks the part, with a full carbon aero kit, including a front spoiler, vented fenders and hood, side skirts and rear bumper, diffuser and wing. The interior has been largely left alone, just enhanced slightly with RUF floor mats and pedals with a custom steering wheel and a centre marker at 12 o'clock. The finished product may very well have the chops to challenge the manufacture's own new 911 GT2 RS and looks pretty sinister in the process. Video: This T-rex Aero 3s Looks Like Something From Star Wars!